The beta version of OS X Yosemite is out already and the final version will be making its way to everyone’s Mac in the fall. This new version of OS X brings a major change to the desktop operating system’s user-interface bringing it more in line with iOS 7. Until now the reviews about the new design strategy applied on the OS X Yosemite have been fairly positive and users have also praised the new look of the software that powers the Mac computers. 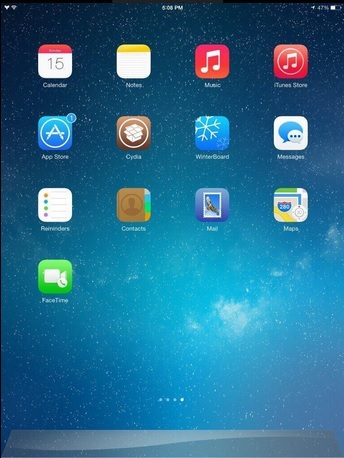 If you also love the look of the upcoming OS X version and would like to have some of it on your iPhone, iPad or iPod touch then we have got the perfect Winterboard theme for your jailbroken device. 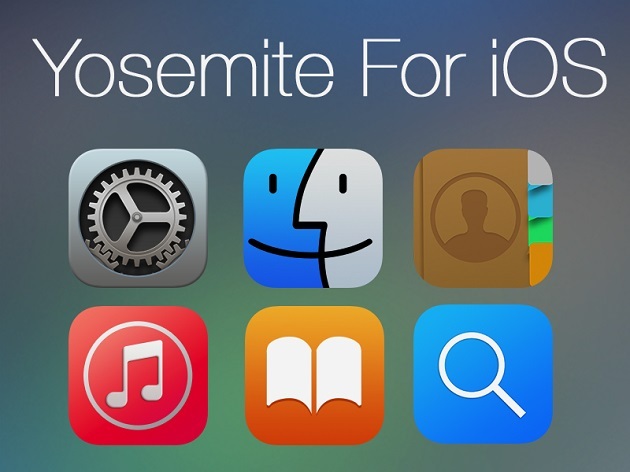 The Yosemite for iOS theme brings OS X Yosemite inspired look to iOS 7 by replacing its stock icons with the ones that look a lot like the desktop counterpart of iOS. Although there should have been some extra features included in this theme such as the new dock style found in the beta version, we will still take it happily. Here’s how this theme looks running on an iPad. You can get this theme for free from ModMyi repo.